Elegantly integrate your design and engineering workflows. Develop intelligent products, combining electronic and mechanical components. ECAD (electronic computer-aided design) software is used to design and create electronic structures. MCAD (mechanical computer-aided design) software is used to design and create mechanical systems. 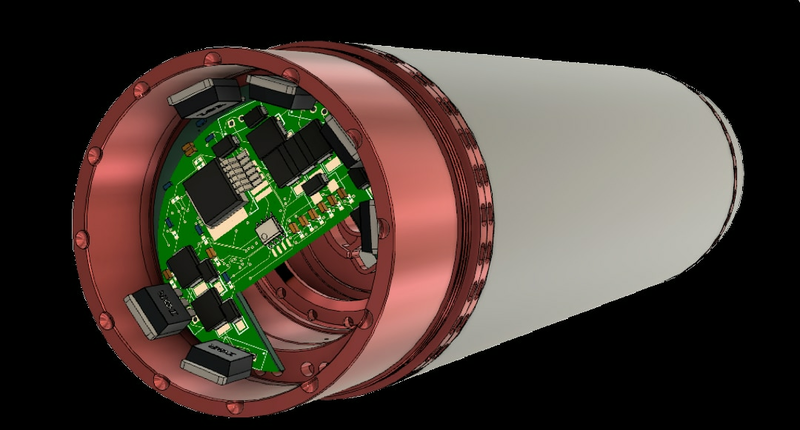 In order to design intelligent products that integrate electrical and mechanical characteristics, it is vital that our design and engineering workflows are also integrated. ECAD and MCAD need to work together to enable true interoperability. Today's design process is no longer linear. Collaboration is necessary and allows for flexibility and last minute changes. Leverage real-time ECAD and MCAD collaboration with cloud-based data management. 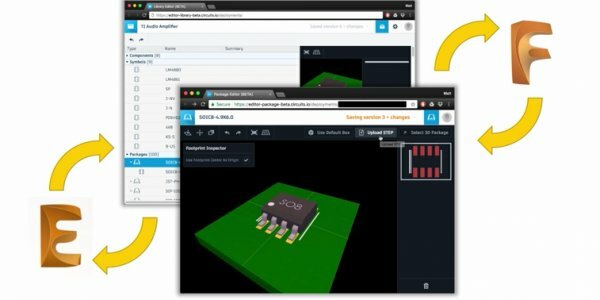 One common cloud-based library for schematic symbols, 2D footprints, and 3D models enabling true workflow unification. 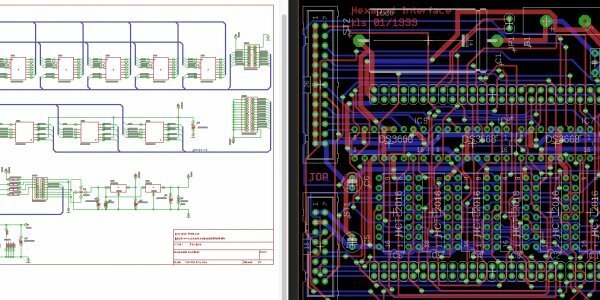 Use EAGLE for schematic capture, PCB routing, and board layout. 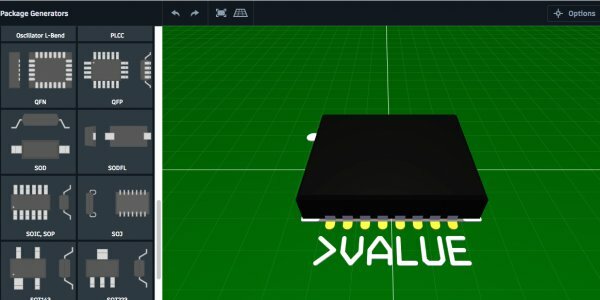 Create manufacturing-ready footprints and 3D models with Library.io. 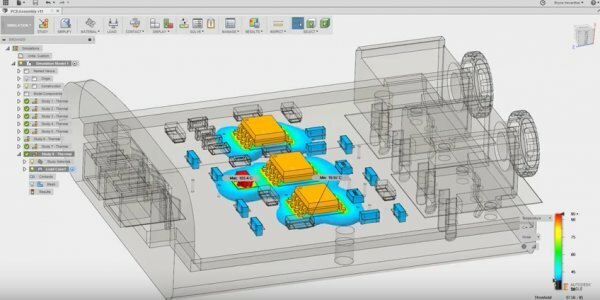 Use Fusion 360 to design enclosures, test interfaces, and run thermal simulations. 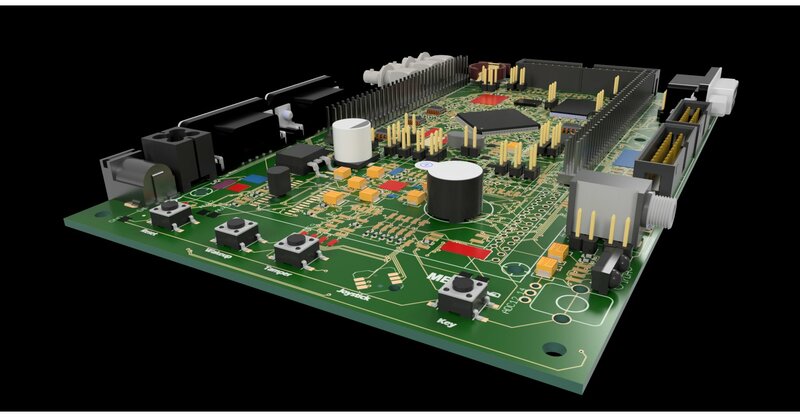 EAGLE is PCB design made easy, including schematic editor, PCB layout editor, and comprehensive PCB library content. Get a limited version of EAGLE for hobbyists and makers. Includes 2 schematic sheets, 2 signal layers, and 80 cm2 board area. Available for Windows, Mac, and Linux. 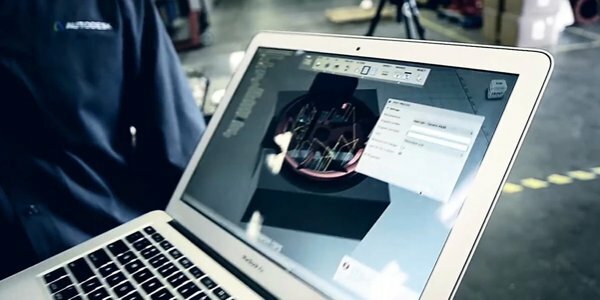 Fusion 360 offers free use to qualifying startup and hobbyist makers through a 3-step verification process. 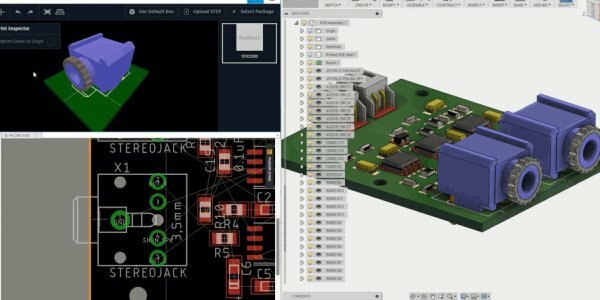 Get started with ECAD and MCAD with these tutorials, guides, tips, and tricks. Learn how EAGLE eliminated the need for IDF (intermediate data format) files and launched one-click MCAD conversions. Get ramped up quickly and understand the basics of ECAD MCAD interoperability. Watch the full ECAD MCAD course from Autodesk University 2017. 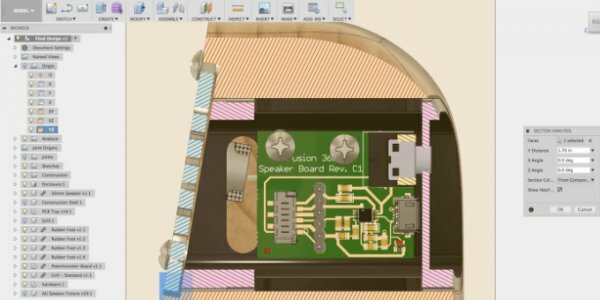 Get a step by step tutorial to fully leverage Fusion 360 and EAGLE. Still not convinced? Check out three reasons Electronic Designers need MCAD Collaboration.